This past weekend I presented at Dublin Literacy as I wrote about HERE. While it was a wonderful day for many reasons, I had a blast talking to two teachers about my writing life. See, when I had been minimizing my presentation before we began to ensure my computer was actually charging, they saw my desktop wallpaper. At any rate, in talking to them, I shared a few things I learned about in the process of writing. I thought I’d take a moment to share them here in case they can help you as well. As I explained to the teachers at my session, I have an inspiration board because I cannot dream up characters from scratch. Some people can, which is so cool! However, I’m not blessed with that ability. However, once given an image I can imagine characteristics, personality, etc. I also do better when I have visuals for setting. This means I have pictures saved from online anytime I see something that inspires me. I also take pictures when I’m out in public on the sly. It helps my creativity get jump started and I love it. If you follow me on social media you know that I write at coffee shops a lot. I don’t write in my hometown because I’d run in a lot of people I know, but I write a town thirty miles away because I need to focus. I can write at my house, but being out and only having writing as my option makes me focus better. If I do write at home, I can only write in my bedroom in this little office area because it is filled with light, but is out of the way. I often only write on the weekends. (This is something I need to change.) That being said, I’m constantly thinking about my story and what I’m going to write next. When I finally sit down to write, I quickly reread what I wrote last and dive in, writing what has been in my head rather quickly. I do this with blog posts and pieces I’ve contributed to professional development books that friends have written. My prewriting in my head is vital to my writing process. In the world of romance writing I’ve seen lots of interviews where authors are asked if they are “plotters” or “pantsers”, meaning do they plot out their books or they write by the seat of their pants. I’d say I do a bit of both. What I’ve found is that I hate to be tied to an outline. This probably extends to writing I’ve done in school. I abhor graphic organizers. They stifle any writing I want to do and trying to use them, trying to outline what I want to write about, makes me freeze up and I’m unable to write. What I can do is roughly plot out a few things I want to write in a book and make sure I write to that. As I write I make notes of threads I’ve left open so I go tie them up later, but that’s all I can do. I’m assuming this means my revision, when I get to it, will be extensive. I will note that for this second book in the series I’ve started a Google Spreadsheet that lists all of my characters in the series so far, characteristics, etc. There’s a tab for every location and description of it. There is a tab for the timeline of book one and two. There is a tab for every recipe I’ve mentioned, or song, etc. That helps me keep organized too. Sorry, blurred out all of the character info. Every time I sit down to write I open up a word doc that has each day I wrote, what time I began, what time I ended, and how many words I wrote. This is hugely motivating to me. First few times writing the second book in my series. When I write daily, I write more. I know, no kidding, right? But I also find that the writing comes easier to me. I’m constantly thinking about my story and what can happen next. The struggle with having other jobs beyond writing is that daily writing isn’t always easy to come by. That being said, when it is my writing life is much healthier. Writing Wednesdays - there’s lots of ways to do this job. I started this writing series in 2019 because as I wrote more, I began to listen to podcasts with interviews of some of my favorite writers. With each interview I was fascinated to learn of another way an author tackled their craft. What I also came away with was the multitude of ways to approach writing. I was more convinced than ever that we need to have our students write a lot. They need to uncover how they write best, what conditions they need to be successful. And, most importantly in my book, we need to ensure we’re not dictating how they go about it. Some might need to prewrite in their head, some might need graphic organizers or outlines. Some might need to write daily, some might write in spurts. They need to claim ownership of that, so we need to provide the opportunity. To do this, I am giving my students lots of opportunities to write. I want them to examine when the writing comes easily, when it doesn’t. Just as I want them to develop their reading identities, I also want them to develop their writing identities. I share my process and the process of the writers I’ve had on this blog or I’ve heard in interviews. Hopefully through both my students will either see themselves in another writer and form a connection or get an idea of something to try. For years I knew that the fact I was a voracious reader made me a better reading teacher. I don’t know why it took me so long to realize that through writing myself, I knew better how to teach writing. It has been a journey. So, what are you writing? Or what do you want to write? Do you have any specific questions regarding writing you’d like answered? I’ll be back next Wednesday to talk writing a bit more. On Saturday I had the honor of being a featured presenter at Dublin Literacy in Dublin, Ohio. This was the 30th year they've had this conference and I was amazing at the amazing sessions they offered. Because I presented three times I was only able to get to Jason Reynolds' keynote, but wow. I sat next to a friend both in awe and in tears, in equal measure. Every time I've ever heard Jason speak I am left beyond impressed as he shares his love of kids and his desire that we honor them. Today he reminded us that we need to show them humility, intimacy, and gratitude. Humility in that we need to let them teach us, we need to listen. Intimacy in that we need to put ourselves out there, let the kids know us. We say children should respect us, but have we shown them respect? Gratitude in that we need to be grateful they are in class. Do we think about what they went through to be there? Jason inspires me, always. So do the educators I met today. Public speaking is not my forte. It's hard, I get anxious, I wonder why I'm there. The people I met today were beautiful. They were kind, caring, and wonderful listeners. They came up afterwards to whisper kind words to me. They sent me messages. I think if you don't ever present, you cannot know what that means. The weekend was filled to the brim with goodness. I honestly was so taken by the experience that I rarely got my phone out to take a photo, but a few are below and I've added a caption to each. I had a blast shopping for books before my presentation in the exhibit area. Under my Hijab was on my list to purchase. I had eaten dinner with the author, Hena Khan, at dinner on Friday night. She is seriously one of the kindest people I've met. I had loved her middle grade novel, Amina's Voice, and was beyond thrilled to find this new picture book. I will be sharing it in my seventh grade classroom next week. So many dear friends this weekend! I love being part of the Voice from the Middle podcast with Gretchen. Katie snapped a photo while I was presenting. Every audience I had was filled with the kindest people. What a day! There was a coffee shop down the way from the hotel. I had to try their homemade blueberry pop tart. Holy crap, it was amazing. Karen is someone I talk to almost daily on Voxer, yet she lives over five hours away from me. Great to see her in person. Even though Chris was recovering from Influenza A, he still made the trek to Ohio with me. 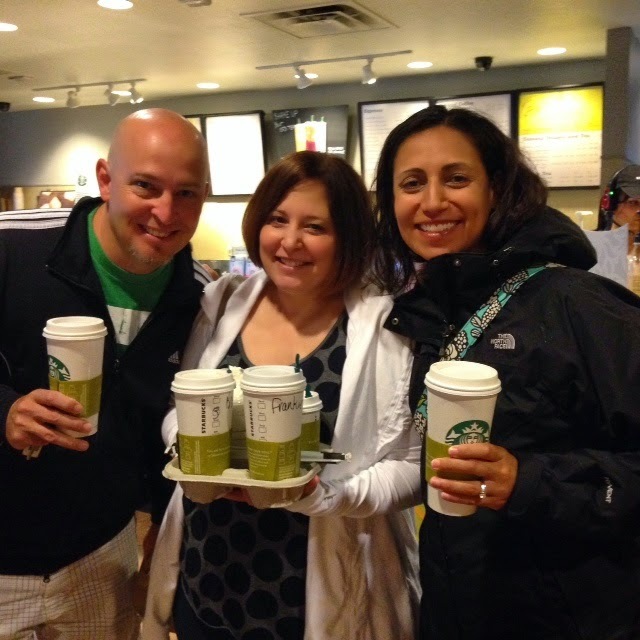 Our way back was filled with wind gusts, potholes, a trip to a candle outlet, Starbucks, and a beer run. Good memories indeed. If you attended my presentations, you know I mentioned I'd be uploading the slides to my blog. In the past I've put all of my presentations on SlideShare. However, I've heard rumors that it will be no longer. The site still seems to be there, but maybe my blog is a better location anyway? Who knows. At any rate, I've added a page to the blog and will attempt to link it HERE. Please let me know if you have any questions. And, without doubt, if you get a chance to attend the Dublin Literacy Conference in the future, do. It was a fabulous weekend in Ohio for sure. Quick note, if you'd like to learn more about what I do in the classroom, I'm giving a course for Choice Literacy this spring on student research writing. It is my absolute favorite way to end the school year. My course is called "It's a New World" and will be running this spring. Find out more HERE. In July of 2009 there was a Ted Talk posted from the amazing author, Chimamanda Ngozi Adichie. I didn't watch the video that year, but I have for at least the last five. The notion of the “single story” of a person was new to me, somewhat. It boils down to stereotyping, but in a way that makes me think, wonder, push myself to ask questions, explore bias, and more. For the past four years I’ve used a blog post by Jess Lipshitz as a jumping off place for this exploring this topic. You can check it out HERE. Using Jess’s ideas, I’ve added videos and articles to explore with my students and consider when we boil down a group of people to a single story. Why do we do that? We ask questions, push each other with gentle nudges, and grow. This year, more than ever before, that unit from September has stayed with us. For example, every day I read a picture book in our challenge to read one each day of this school year. Always, when we’re done, I’ve asked the kids what they’ve noticed or wondered about. 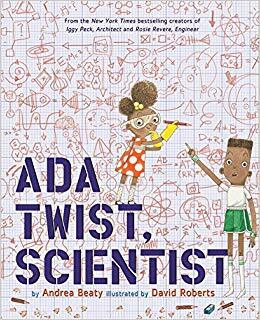 Recently when discussing the picture book Ada Twist, Scientist, a student pointed out how important it was that a female was the main character in the book because sometimes the single story we might believe about scientists was that they were male , but of course that isn’t true. I nodded while they went on to discuss the reasons they felt the author and illustrator had made the choices they had. It was fascinating to sit back and observe their conversations. The single story came up again last week. We do daily quick writes, often from videos that hopefully inspire them to think and wonder. Then we write for a set amount of time. Last week I was watching three videos from a YouTuber named Louis Cole with them. You can learn how I used those videos in this old blog post HERE. In my first hour class on the second day, one student wondered aloud whether Louis' videos were giving us a single story of Kenya. I agreed that that could be true, so I pulled this video to watch the following day. We then had an amazing conversation about the Kenya we’d have in our minds had we only watched any one of those videos, but by seeing all of them we had a more complete picture. Single Stories. It’s so easy to reduce people, places, or beliefs we aren’t familiar with to one thing, but we are all far more complex than that. And inside that complexity lies true beauty. That’s what I want to strive for, to learn from. I’m grateful to this class for pushing me to do just that. I met Jen Vincent in 2011 at NCTE in Chicago. Jen was someone I had talked to online, but I was thrilled to get to know her better in person. Since then she and I have roomed together at writing retreats, debated whether we were Team Bear or Team Rabbit, met up for author signings, attended countless conferences across the country, and she’s even stayed at my house and visited my classroom. Jen is the best kind of friend to have, she is a constant cheerleader for me and I’m always in awe of her ideas and the new directions she is moving in. Please welcome Jen to the blog! Right now I’m sitting at my kitchen table. In front of me sits my MacBook with a zillion tabs open. I’m glad you can’t see them but I have them open because I need them! For example, I have an email open to a friend I need to respond to, I have Facebook open because I was looking for inspiration in a writing group I’m in, I have my blog open because I have a post I’d like to write. I’ve also been working on a new draft of a picture book and a new draft of a novel and some non-fiction writing for my National Board renewal. As you can tell, writing is in all parts of my life. The tabs don’t lie. Similarly, under my right elbow, is a writer’s notebook I use for gathering writing to share with students and notes for mini lessons. It’s a beautiful not-quite-red pink with teal and pink flowers. To my left I have a stack of notebooks I’ve been carrying around lately. I have a big turquoise notebook I’ve been using to capture my learning from the Eñye Dream Accelerator coaching program, a sweet yellow notebook with a typewriter on the cover where I gather ideas and brainstorm and try things out (this is my true writer’s notebook), a small black notebook with some day-one day ideas for Story Exploratory, a creative writing space I’m creating, and a red notebook I use as a bullet journal where I outline things I want to get done. While I adore my laptop, putting pen or marker to paper in my notebooks fuels my creativity in a different way. As a mom with a full-time job, I’m the kind of writer who steals time to write. I write when I can and I nudge myself along and celebrate progress based on what I’m working on. If I’m revising, I celebrate the minutes I put in. If I’m drafting, I celebrate the words get out. I also have an accountability partner who I check in with most mornings to share what I worked on the day before. I’m disciplined when it comes to getting things done but not in terms of consistency. I don’t write at a certain time or at a certain place or a certain way. That might be because it’s my style or it might be because I’m trying to figure it out. I’ve heard others say just because you write a book, it doesn’t mean you know how to write. You just know how to write that book. Other books might be different. So I’m still learning about myself as a writer but I’ve tried pantsing and I’ve tried plotting and I think I’m somewhere in between. But I’m also the kind of person who likes to have lots of projects going. While I’m at my kitchen table writing right now, it’s not the only place I write. I have a tv tray table set up in my bedroom with a chair where I write a lot but I’ve also been known to write in my laundry room after reading how it worked for Stephen King. I would say my all-time favorite place to write is a coffee shop and with a friend. I love the ambiance, the people, the sounds, the energy. I also really love a good soy mocha. Life! Honestly, I live my life as a writer. I’m always looking for ideas, noticing people and places and sounds and smells and soaking up life. But also, I’m a reader and when I’m reading, or listening to a podcast or watching a documentary or a movie, I’m constantly thinking of ideas. It all started when I asked my students to create their own writer’s notebooks. We decorated them and I wrapped them in clear contact paper. They were things of beauty...except the pages inside were empty. Yikes, I thought to myself. I have to model how to do this writing thing. And so I started paying attention to ideas and people and places and things so I could write in my notebook with my students. In 5th grade, my teacher Ms. Corn asked us to write back in forth in journals to her. I honestly have no idea what I wrote about but she invited me out to lunch to thank me. Looking back now, I’m guessing she was doing her Master’s or something that asked her to work with her student writers and I think she used my journal for her class. It’s my first memory of my writing being important. After that, I had writer’s workshop in middle school and high school so I got used to the writing process. I didn’t really write consistently again until I was much older. In 2011 I tried NaNoWriMo for the first time and after knowing so many authors and illustrators on Twitter and meeting them at conferences, I decided there wasn’t any reason I couldn’t try to get published too. I was definitely a reader and a writer in middle school. In sixth grade, my teacher handed me Avi’s The True Confession of Charlotte Doyle. She said something about it being a difficult read but that she thought I could manage it. And I did. I loved that book and was super proud to be reading it. I remember reading Maniac Magee, Cheaper By the Dozen and The Outsiders in middle school too. I don’t remember as clearly what I was writing in middle school but I know we had portfolios and we had to collect our writing to share. I’m still on my publishing journey! And so far it has involved online contests, lots of queries, an agent who turned out to be a not-so-agent, more querying, lots and lots of writing and connecting with writers near and far. I’ve had lots of friends along the way just tell me to keep writing. Even though I believe in myself and trust in the process, having others cheer me on tell me to just keep writing has been the best advice. No matter what, just keep going. Read! I’m a huge fan of mentor texts. Basically that means paying attention to everything you read - or consume - because it can give you inspiration for your own writing. Here are some examples! I went to Jeni’s with friends and on the wall they had written about different characteristics of their ice cream. It was really great writing. The voice was amazing. It was a perfect example of a nonfiction mentor text. I snapped pictures because I wanted to remember how great their descriptions were. Another time when reading helped me with my writing was when I was working on a picture book and I was feeling sort of stuck. I went to the library and grabbed 30 picture books and read them all. While I was reading, I paid attention to what the authors did and I got ideas for the book I was working on and for other books too! Reading - or consuming different kinds of text or media - truly is important if you want to live the life of a writer. And also, I believe in you. You should keep writing. And when you finish what you’re working on now, write something else. Just keep going. I keep finding different strategies to get unstuck when I feel stuck. Like I shared above, sometimes reading is a great way to get unstuck. Another strategy I have is to do a free write. I set a timer and make myself write something. It really can be anything. Sometimes I get caught up on what’s the best thing to write or the right thing to write and then nothing gets written. Free writing helps me get started and sometimes that’s the hardest part. I just finished Anne Ursu’s The Lost Girl and I LOVED it. It’s so great on so many levels and I recommend it wholeheartedly to anyone and everyone. I blogged about it here if you want to read more of my thoughts! I’m currently working on a novel and I can share 5 key words: Guatemala, primas (that means cousins in Spanish), loss, love, volcano! A huge thank you to Jen for taking the time to share her love of writing and where she gets her inspiration with us. If you want to know more about Jen, please see the links below. I’m trying to remember the first time I “met” author Gae Polisner. It must have been on social media after reading her brilliant book, The Pull of Gravity. Gae is beyond kind and shortly after that agreed to Skype with my class. To say the Skype was eye opening to me would be an understatement. (You can read about my experience with that HERE.) 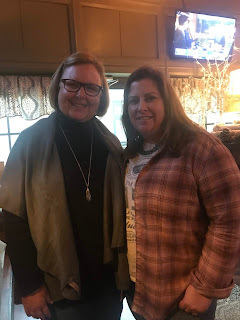 Then she earned my gratitude forever by Skyping with my own book club as we sat around my laptop talking to her from my dining room, drinking wine, and crying over her brilliant book The Summer of Letting Go. Gae means the world to me and I’m beyond grateful she agreed to answer all of my questions for this week’s Writing Wednesdays. Welcome to Gae! My writing life is an almost-daily endeavor -- but I do NOT write every day and do not believe you need to write every day in order to be a real writer. Other things in my life often take precedence over writing: my family, my dog, my hobbies, exercise, volunteer work, etc. and there are days I just don’t feel it. Get too caught up in the news. Feel distracted. Etc. Having said that, most days, I get up, make my coffee, and write. And some days -- if I’m engrossed in a manuscript, or stuck in revisions on deadline -- I’ll be at the computer writing 10, 12 hours a day. I do almost all my writing on the computer. Only when I have a rough draft do I print up a hard copy to read it from that perspective and make revisions right on the hard copy. Usually, by 10-20 pages in, I have SO many marks and revisions, I feel overwhelmed, go back to the computer to input the changes, and end up doing the rest of the revisions on the computer, never returning to that hard copy again, LOL. I’ve learned now, only to print up 10 - 30 pages at a time. So, for example, IN SIGHT OF STARS began when the scene that now appears on pp. 9 -10 in the book came to me, a scene where a boy who is very serious about becoming an artist, is in art class with this girl he’s drawn to (forgive the pun), and he can’t help himself and reaches out and draws on her paper. This was the scene I wrote -- I could see Sarah’s hair on the paper, I could feel Klee lean across and trace the strands with his charcoal -- and I knew this, for any artist, is a cardinal sin: You DON’T draw on someone else’s art without permission. But Klee did, in the scene in my head. So I asked, well, “Why? Why would he do this?” And the answer that came to me was that he was on the edge, not feeling in control of himself, desperate to connect. And when I asked, well, “Why?” again, the answer came, “He’s suffered some tragedy. His father, the loss of his father has undone him.” And again, I asked “Why?” and so on, and so on. And ultimately, a story that started out about art because a story of an emotional break and healing. . .
As for names, those usually take lots of specific thought, but also have to do with what a name feels like to me (and since that is subjective, could mean that same name feels very different to a reader). For example, when I wrote THE PULL OF GRAVITY, I wanted my MC to be an “every guy” that boys going through those awkward early teens could relate to. I wanted a solid more common name that felt both light and sturdy. I came up with Nick. One quick syllable: Nick. It felt exactly right. And when I was thinking about his last name, the thought that kept coming to me was, “I want something pretty garden variety.” That thought -- and the word garden -- led me to Gardner. Nick Gardner. In IN SIGHT OF STARS, it was kind of the opposite. My MC comes from a family of art and wants to be an artist. He’s named Klee after his mother’s favorite artist, the Swiss painter Paul Klee, even though his father focused almost solely on Van Gogh. That fact alone tells you something about the dynamic in his family -- allowing you to make assumptions that may also be wrong. The fact that Klee is pronounced “Clay” factors strongly into the opening of the story. Because my name is Gae -- a hard name to grow up with -- I am often giving my characters either struggles with their name, or nicknames (something I dearly wanted to stick as a kid/teen and could never make really happen). I wrote all the time as a kid and teen and young adult, poems and short stories, primarily. I took creative writing in HS and college but NEVER thought of being a writer. It would have been Pie In the Sky, beyond my wildest dreams. Besides, writing a novel is far different than poems or short stories, and I really wasn’t a person with a ton of novel ideas just floating in my head. After college, I went to law school and became a practicing attorney (I still maintain a very small and quiet practice . . . when the cases come to me. . . ) I didn’t return to writing until my early thirties. I just wanted to see if I could write 100 pages (my first and second manuscripts were both women’s fiction; it was finally my third manuscript, a YA, that sold). It is beyond my wildest dreams that I have my fifth and sixth novels coming out in 2020. I answered half up there *points up* and YES, I was a voracious and fast reader in middle school, high school, and college (Gosh, I miss HER!!! I’m so, so slow and distracted now…). In elementary school through college, I probably read two or three novels per week. Even after I graduated, when I was living in NYC, I’d read 2 - 3 novels per week. I want to be her again. I blame computers and social media. UGH. In addition to what I told you above: checkered, full of rejection, frustrating at times, and, as I said, beyond my wildest dreams to have succeeded at any level. “Keep your eyes on your own paper,” is some of the best advice. Meaning, stop comparing yourself to others and stop trying to be them or replicate how THEY do it. We can only be who we are, do what we do how we do it. “Comparison IS the thief of joy.” Quote, Theodore Roosevelt’s, emphasis mine. Showing my boys that it is possible, with the right combination of skill, perseverance and luck, to become not only who, but what, you want to be. And that it DOES, for nearly all of us, take a ton of perseverance. I also cherish the notes and relationships with readers my stories have touched. Those who know me could answer in unison: Swim. Part of being able to persevere is learning to quiet that inner voice. I could NOT do it when I was younger and it dictated all of my quitting and failures. I’m so glad I finally learned in my 30’s to do so. Mostly, I did for my sons, so that they would learn to quiet theirs by example. I’ve not read a lot lately because, with two books coming out in 2020, I’ve been steeped in revisions for both on deadline (first time I’ve ever been juggling two books in the production phases… ) When I do read (which I do often by listening to audiobooks, I’ve been allowing myself to read more adult fiction. The last GREAT book I read (meaning, it resonated with me, personally, as well as winning external accolades like the Pulitzer, LOL) is a Visit from the Goon Squad by Jennifer Egan. I’m listening to a book I’m loving so far called Eleanor Oliphant is Completely Fine. It’s so quirky and surprising. . . and I’m reading the ARC of a middle grade that comes out in May called PLANET EARTH IS BLUE by Nicole Panteleakos. So far, it is beautiful. Thanks again to the amazing Gae Polisner for giving of her time to share her thoughts with us. If you'd like to find Gae online, here are some links.